Now that Life is Strange: Before the Storm has said its Farewell, Shacknews has a few final questions to ask Deck Nine Games Narrative Director Zak Garriss at this year's Game Developers Conference. Earlier this year, the Life is Strange fanbase got to bid 'Farewell' to Chloe Price, in more ways than one. It wasn't just a goodbye to her childhood or to her best friend, Max Caulfield. It was a goodbye to Chloe Price as everyone knew her. After the fatal car accident that took her father away, Chloe was never the same person. It was a tragedy. It left players in tears. And for me, it left me with some questions. Fortunately, I had the opportunity to visit with Deck Nine Narrative Director Zak Garriss at this year's Game Developers Conference. 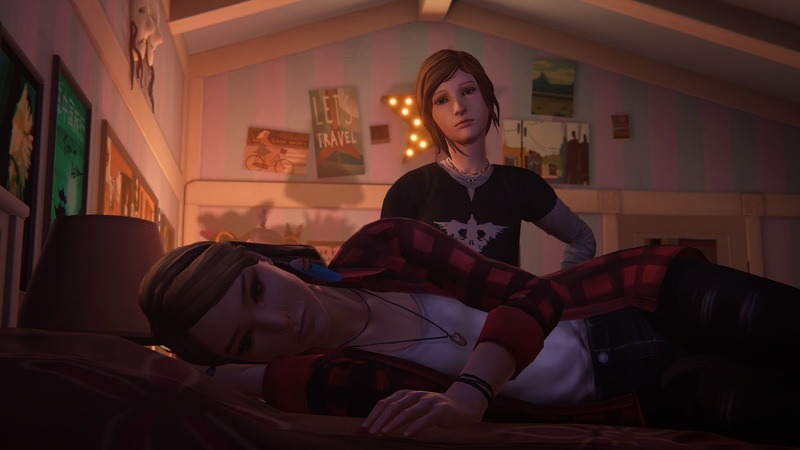 Among the topics we touched on were Farewell, Chloe Price's character development, and that post-credits scene from after the main Before the Storm story. Shacknews: Farewell is obviously very different from the core Before the Storm narrative. In what ways did you change your approach when putting this episode together? Zak Garriss, Narrative Director: I'm not sure that we really did change very much. We took the same kind of collaborative room approach to conceiving at a high level to begin with, what we wanted to accomplish with the story with what we had to work with. We just iterated on those ideas all the way down to the production. Shacknews: What made you decide to approach the story from Max's perspective, as opposed to Chloe's? Garriss: I think it really resonated with everyone, the idea of returning to Max's shoes, as the character who started this story. We began Life is Strange as Max and the purpose of this piece was to return to Arcadia Bay maybe one last time. Max really felt like a good vehicle for that. Shacknews: You had a lot of callbacks to their childhood. How many references were you able to find over the course of the series? Garriss: Oh man, I don't know if we collated a list. I think it was often as many as we could find that right, that felt fun. But yeah, it was too enjoyable, I think, that particular component. Shacknews: The ending was really heart-wrenching. How did you approach from a narrative standpoint. And did the team ever consider ending this story differently? Garriss: The ending of Farewell was essentially the first pitch for the episode. We talked a little bit about it with Square and amongst ourselves about it, about what we could do by going back to a younger time in the characters' lives. And the idea that clicked for me... I think it was about a week of thinking about what would we want to do with that. For me, this idea of the tape recorder and the idea of Max leaving without saying goodbye, leaving in a way at a particular time that really hurt Chloe, devastated her, and that kind of set her on a trajectory. The core idea of Chloe holding the recorder and listening to a voice, a disembodied voice, that was the galvanizing moment where we all thought about that for a second and we were like, "That! It's gotta be that! Let's build around this idea." Shacknews: On a similar note, without having him physically present, you made Chloe's father one of the main characters of this story. Was there any challenge to doing this from a writer's perspective? Garriss: We looked at different ways to do that. That is often a difficult thing to do. We're working with characters who are well known by our fans now, particularly with William, his absence has kind of been a defining element of what he is as a character for a long time, so there's a lot to work with there. And we're only in the Price house, so there's a lot to work with in that. It didn't feel hard. It felt really natural. It felt like where the story wanted to go. And a big part of what Farewell is as a whole is William's departure from Chloe's life. It's not just Max leaving, it's also that Chloe's losing her father. So it felt very appropriate to play with that and play with the different ways in which that will now be true for Chloe forever. William will always be gone, and at the same time, in a myriad of different ways, he will always be a part of her world, just like we explored that in Before the Storm. Shacknews: One of the most interesting things I saw in Farewell wasn't even related to Chloe or William, it was for Joyce. It was the pamphlet that showed that she wanted to get into teaching. Was this something that the team came up with for Farewell or was there something that alluded to this over the course of Before the Storm? Garriss: I think that was an idea that came out just for Farewell. I don't remember which writer came up with it. It was one of the writers in the room. 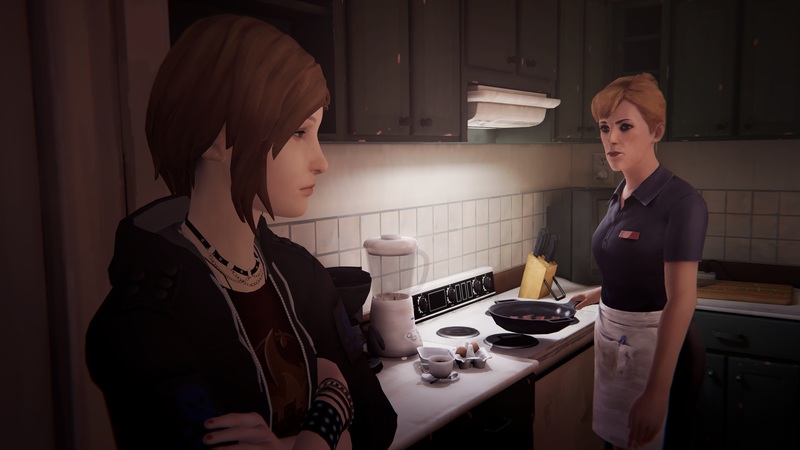 One of the things we wanted to do with the story throughout all the different scenes of Farewell was to show that in this snapshot, in this moment in time, before William dies, elements of Chloe's life that we know from the other games might be radically different. We really wanted to embellish that and develop those ideas to show the full index of the tragedy of what's about to happen. So experimenting with Chloe's report card and showing not only is she an excellent student, she loves school, she's excited about Blackwell. That's weird, right? Like, that seems totally wrong. Having Joyce have ambitions beyond having to just make ends meet at the diner, that felt like another interesting space to explore. Losing William impacted her in really significant ways that we often, like Chloe, maybe don't think about. Shacknews: I'm glad you touched on that, because this is something that I've noticed, not just in Farewell, but in Before the Storm as a whole. You portrayed Chloe as somebody who had flashes of brilliance and had a lot of potential. How did you decide on this direction for her character? Garriss: I saw glimpses of that from Chloe in Life is Strange. The alternate timeline where Chloe's father survived, but she was paralyzed, has some really interesting rifts on who she was, just from the context of the first season. What we hear from that Chloe is a passion for science, an interest in learning, in science fiction, and various things that inspired us a lot in how we were conceiving her. In how we could make her character more compelling, a little more depth-y than what you get to see in the first game. And so we really wanted to run with that, both in Before the Storm and in Farewell, and really recognize her capacity... I think the bitter girl, the broken girl, who other people look at and judge immediately and dismiss, we wanted to explode that. We wanted to tell that story and we hope resonate with fans who have been in similar places, where they feel like they get labeled and then all of their complexities are suddenly uninteresting, or forgotten, or invisible. And we think Chloe was a very interesting character in that she was a burnout and really was mistreated by a lot of other people. So standing up for her, standing up for her capacities that maybe other characters don't see and maybe players might not have seen or forgotten, feels like we're standing up for everybody who's gone through that. And that felt really right and true to us and I think helpful for making her a more interesting character. Shacknews: So for my last question, I want to revisit the post-credits after the last episode, where everything's ending nice and happily and then we get the punch in stomach and suddenly remember, "Oh, right. This is what happens to Rachel Amber." So walk me through the process of how the team put that scene together, especially because there weren't many references to that aspect of the original Life is Strange story. Garriss: [There weren't] virtually any. I think Before the Storm, as a whole, it moves in and out of questions around telling the truth and lying. The final choice is about telling the truth to Rachel or lying to her. But a lot of the game plays with performativity. It plays with the roles we play and being on stage and the ways in which we lie through Chloe's eyes, maybe we're lying to Joyce or lying to David or lying at school or lying or not to Rachel, ultimately. The ways in which William talks to us about being blinded, lying to ourselves. Hearing Rachel talk about her father lying to her, knowing that we know about Rachel from the first game, we know she also has a tendency to do this. We really made that a thematic core of the story. One of the things I was interested in exploring with that was the ways in which Before the Storm, as a whole, presents itself as a pleasant fiction. We're choosing to focus in on a specific window of Chloe's life where Rachel shows up and has a positive impact on her. But we know, ultimately, where Chloe's going to go and we know where Rachel's story is going to go. 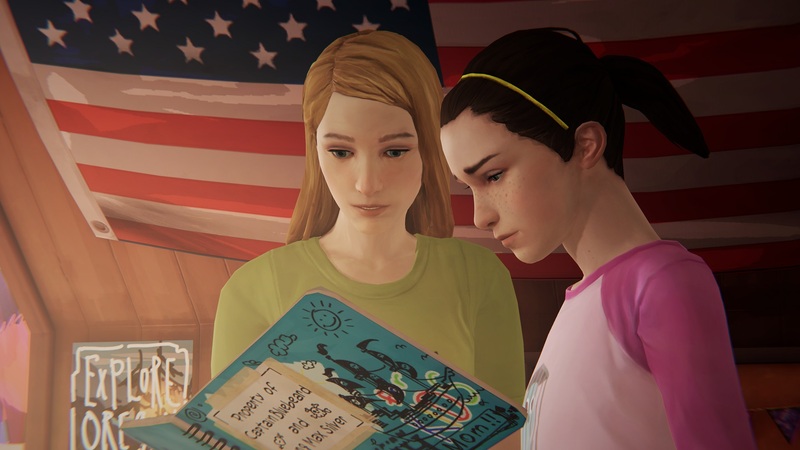 The game becomes kind of this suspension of that knowledge and part of what we wanted to do was invite the player into this moment in time in Chloe's life, which is really hard, but then is suddenly really hopeful and really good, and honestly explore the significance of that. For us, ultimately, it felt like we needed to go all the way to the end, at the end. Not to hit fans in the stomach, not for that "gotcha," but more for the question I think we had, which was... at the beginning of episode one of Before the Storm, we show you that Chloe's grieving and Chloe's hurting and she tells you that she's bitter, angry, and sad. We bring you on this journey of discovery with Rachel and of joy and re-surging in Chloe's life, and then in the final moment we do remind you what happens, what happens when that joy gets destroyed. 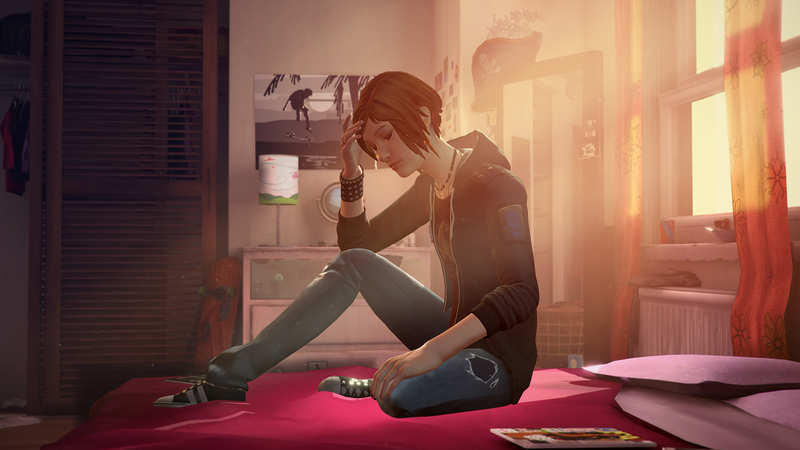 The question I think I have as a writer, a game writer, and creator is, in that moment when the player feels rage and sadness and confusion and the futility of it all, I wonder if they might understand Chloe better than they ever have? The complicity that I think you as a player could feel in that and that reminder that the joy that the whole game has really been about with Rachel, that doesn't last for Chloe. And I think a lot of players play through that and got to the end and they were like, "That's not lasting for me, either." The pain and the anger was too much. I've had a lot of fans write me and express that in ways ranging from positive to negative ways. So I don't know, honestly, what I think about what we've done with that. I think I'm still thinking through it and trying to figure out whether it was a good thing, whether it was the right thing, I think it was. And I think the team, as a whole, really believes in what we did with that. But it was really just that. It was to say, "This is what games can do that nothing else can." It can make you feel sympathetic toward a character in a way that's unique to this medium and that moment, I feel like, was the key moment for that. For really understanding, finally, who Chloe was when you see her in the bathroom in Life is Strange, it's that moment from the Dark Room where you can really understand and clarify why she's so angry and why she's so hurt. But a lot of fans didn't want that because it's painful, because it's hard, and what they want for her is, understandably, a happy ending. I'm very sympathetic to that, but that's not the story of Life is Strange and that's ultimately what we're beholden to.